Interests: Data mining-Association rule mining, Distributed data mining., Big Data Analytics, Web Mining, Text Mining, Urban Computing, Social Media Analysis, Database Systems, Web Technologies. B.Tech (CSE), Jawaharlal Nehru Technological University, Hyderabad. M.Tech (CST), Andhra University, Visakhapatnam. Ph.D. National Institute of Technology, Warangal. Areas of Research: Data mining - Association rule mining, Distributed data mining., Big Data Analytics, Web Mining, Text Mining, Urban Computing, Social Media Analysis, Database Systems, Web Technologies. T Ramakrishnudu and R B V Subramanyam "Mining infrequent weighted itemsets from very large data based on MapRedcue model", International Journal of Advances in Computer Science and ite Applications, Vol. 5 No. 2, 2015, pp. 296-300. T Ramakrishnudu and R B V Subramanyam "Mining interesting infrequent from very large data based on MapReduce model", International Journal of Intelligent Systems and Applications, Vol. 7 No. 7, June 2015, pp. 44-49. T Ramakrishnudu and R B V Subramanyam "Mining positive and Negative association rules using FII-tree", International Journal of Advanced Computer Science and Applications, Vol. 4 No.9, October 2013, pp.147-151. B S Sachin Govind, T Ramakrishnudu (main supervisor) and K Lakshmi Saideep, ï¿½? ?Novel recommender systems using personalized sentiment miningï¿½? ?, IEEE CONECCT 2017- The IEEE International Conference on Electronics, Computing and Communication Technologies, Bangalore, India, 16-17 March 2018. T Ramakrishnudu and Tangedipalli Balakrishna, ï¿½? ?Personalised context aware content relevant disease prediction and diet recommendation systemï¿½? ?, UK Academy for Information Systems Annual International Conference (UKAIS2018), Oxford, UK, 20-21 March 2018. T Ramakrishnudu and R B V Subramanyam "Mining infrequent weighted itemsets from very large data based on MapRedcue model", International Conference on Advances in Computing, Control and Networking (ACCN-2015), Bangkok, Thailand, 21-22 February 2015, pp. 73-77. Development of e-content for teaching and learning of R programming language (in association withTLC, NITW)(On going). Sri K V T K N Prashanth working in the area of data analytics. Approximate 40 PG projects guided. Approximate 30 B.Tech projects guided. Given a talk on ï¿½? ?Clustering and Classification using R and Machine Learning models using Rï¿½?? at Pragati Engineering College, Kakinada, in an AICTE-ISTE Induction Programme on Statistics with R-Programming, during June 2018. Given a talk on ï¿½? ?Data Analytics Life Cycle, Fundamentals of R programming, Data Visualization using R and Data Analytics using Rï¿½?? at Agnel Institute of Technology and Design Goa, in a Faculty Development Program on Hadoop and Big Data Analytics, during May 2018. Given a talk on ï¿½? ?Data Visualization using Rï¿½?? at G. Narayanamma Institute of Technology & Science, Hyderabad. in a Faculty Development Program on Data Analytics with R, during March 2018. Given a talk on ï¿½? ?Fundamentals of R, Scripting with Rï¿½?? at Institute of Aeronautical Engineering in a Faculty Development Program on R and Python Programming, during January 2018. Given a talk on ï¿½? ?Fundamentals of R, Scripting with Rï¿½?? at Vasavi Engineering in a Faculty Development Program on Recent Trends on Data Science, during December 2017. Given a talk on ï¿½? ?Fundamentals of R and Data Visualization using Rï¿½?? at Shreyas Institute of Engineering and Technology in a Faculty Development Program on Computational Approaches in Big Data Analytics, during December 2017. Given a talk on ï¿½? ?Data Visualization and Data Analysis using Rï¿½?? at DVR & Dr. HS MIC College of Technology in a Faculty Development Program on Data Science and Big Data Analytics, during November 2017. Given a talk on ï¿½? ?R Programming Fundamentalsï¿½?? at K L University in a Faculty Development Program on Recent Research Trends in Data Science, during November 2017. Given a talk on ï¿½? ?Data Visualization and Data Mining using Rï¿½?? at DADI Institute of Engineering and Technology in a Workshop on Data Analytics with R, during November 2017. Given a talk on ï¿½? ?IOT Data Analysis using Rï¿½?? at Dhanekula Institute of Engineering and Technology in a Workshop on IOT and Analytics, during October 2017. Given a talk on ï¿½? ?R Programmingï¿½?? at Gudlavalleru Engineering College in a Workshop on R programing for Statistical Computing, during July 2017. Given a talk on ï¿½? ?Input Injectionï¿½?? at KKR&KSR Institute of Technology and Sciences in Faculty Development Programme on Security and Privacy, during October 2016. Given a talk on ï¿½? ?Input Injectionï¿½?? at GVP College of Engineering in Faculty Development Programme on Security and Privacy, during July 2016. Given a talk on ï¿½? ?Information and Communication Technology (ICT) Toolï¿½?? at Rayalaseema University in Faculty Development Programme (FDP) on ICT Tools (MS Office), during January 2016. Given lectures on ï¿½? ?Asymptotic Notation, Time complexity, Trees and Graphsï¿½?? at GPREC Kurnool for Faculty of various engineering colleges, Sponsored during August 2012. Given a talk on ï¿½? ?Decision trees, Clustering using Rï¿½?? at NIT Warangal, in a Faculty Development Program on Machine Learning, during March 2018. Delivered lectures on ï¿½?? Fundamentals of R, Data Visualization& Data Management using R and Object Oriented programming using Rï¿½?? through NKN broadcast to six E&ICT academies across India in a Faculty Development Program on Computational Approaches in Big Data Analytics, during December 2017, Jointly organized by IIT Guwahati, IIT Roorkee, NIT Jaipur, NIT Patna, NIT Warangal and IIIT Jabalpur. Given a talk on ï¿½? ?R Programmingï¿½?? at NIT Warangal in Faculty Development Programme on R Programming Concepts and Applications for Teachers in Higher Education, during June 2017. Given a talk on ï¿½? ?R Programmingï¿½?? at NIT Warangal in Faculty Development Programme on R programming for Scientists and Engineers, during June 2017. Given a talk on ï¿½? ?Hashing Techniquesï¿½?? at NIT Warangal in Faculty Development Programme on Data Structures& algorithms, during May 2016. Given a talk on ï¿½? ?Input Injectionï¿½?? at NIT-Warangal in Faculty Development Programme on Security and Privacy, during April 2015. Given a talk on ï¿½? ?SQL Injectionï¿½?? at NIT-Warangal in Faculty Development Programme on Database Security, during March 2016. Given a talk on ï¿½? ?Database Recovery Techniquesï¿½?? at NIT-Warangal in Faculty Development Programme on Database Management Systems, during August 2015. Given Lectures on ï¿½? ?Programming in Cï¿½?? at NIT-Warangal in Finishing School for Engineering Graduates and MCAï¿½? ?s on Information Technology, during January-March 2013, Sponsored by Social Welfare Department, Warangal Dist., Govt. of Andhra Pradesh. Given Lectures on ï¿½? ?Web Technologies (HTML, Java Script, Webservers, PHP and MySQL)ï¿½?? at NIT-Warangal in Finishing School for Engineering Graduates and MCAï¿½? ?s on Information Technology, during January-March 2013, Sponsored by Social Welfare Department, Warangal Dist., Govt. of Andhra Pradesh, India. Coordinator and Given Lectures on ï¿½? ?Programming and Data Structuresï¿½?? at NIT-Warangal, For M.Tech Students, Dept. of EEE, NIT-Warangal, as a part of special training on programming, During January-March 2008. Given Lectures on ï¿½? ?Web Technologiesï¿½?? at NIT-Warangal in Finishing School for Engineering Graduates (FSEG-2008), during May-June 2008. Handled Lab Sessions on ï¿½? ?Transaction Processing using SQLï¿½?? organized by E&ICT Academies at IIT Roorkee, IIT Guwahati, IIIT Jabalpur, NIT Jaipur, NIT Patna and NIT Warangal, at National Institute of Technology ï¿½?? Warangal, during 23rd June ï¿½?? 3rd July, 2017. Teaching Assistant for ï¿½? ?Database Management Systemsï¿½?? conducted by IIT Bombay at NIT-Warangal through A-View, during December 2010. Teaching Assistant for ï¿½? ?Effective Teaching/Learning of Computer Programmingï¿½?? conducted by IIT Bombay at NIT-Warangal through A-View, during June-July 2010. Teaching Assistant for ï¿½? ?Database Management Systemsï¿½?? conducted by IIT Bombay at NIT-Warangal through A-View, during May 2010. Teaching Assistant for ï¿½? ?Finishing School for Engineering Graduates (FSEG-2007)ï¿½?? at NIT-Warangal, during May-July 2007. Organized a Five Day FDP on R Programming concepts and Applications for Teachers in Higher Education, during 13th- 17th September 2017 under Teaching and Learning Centre, National Institute of Technology-Warangal, at National Institute of Technology - Warangal, TS, India. Organized A Two week FDP on Introduction to Web Development, during 13th- 22nd June 2017 through NKN in association with E&ICT Academies at IIT Roorky, IIT Gowhathi, IIIT Jabalpur, NIT Jaipur, NIT Patna and NIT Warangal, at National Institute of Technology - Warangal, TS, India. Coordinator of the BOOSMOOL course using MOODLE on Database Management Systems in association with E&ICT Academy NIT Warangal and IIT Madras at JNTU Ananthapur& Pulivendula. Organized A Five Day FDP on Information and Communication Technology Tool (MS Office), during 28thJanuary - 1st February 2016 in association with E&ICT Academy, National Institute of Technology-Warangal, and Department Computer Science, Rayalaseema University- Kurnool, at Rayalaseema University- Kurnool, AP, India. Conducted a 3 Months Special Training Programme on Programming and Data Structures at NIT-Warangal, For M.Tech Students, Dept. of EEE, NIT-Warangal, During January-March 2008. Attended the UK Academy for Information Systems Annual International Conference (UKAIS2018), Oxford, UK, during 20-21 March 2018. Attended 4th Annual workshop NKN at the core of Cyber Space, during 21st -22nd January 2016, organized by National Knowledge Network, at JNTU Hyderabad, AP, India. Attended Database Management Systems sponsored by HRD, DeitY, MICT, GOI and organized by the E&ICT Academy and Dept. CSE,NIT-Warangal, during 17th-27thAugust, 2015. Attended International Conference On Advances in Computing, Control and Networking(ACCN-2015), 21st -22nd February 2015, at Bangkok, Thailand. Attended Research Promotion Workshop on Introduction to Graph and Geometric Algorithms organized by TIFR and NIT-Warangal at NIT-Warangal, during 23rd-25th October, 2013. Attended IBM Rational SEED for Quality Program organized by IBM at NIT-Warangal, during 10th-11th November, 2013. Attended Aaskash for Education organized by IIT Bombay at NIT-Warangal, during 10th-11th November, 2012. Attended Introduction to Research Methodologies organized by IIT Bombay at NIT-Warangal, during 25thJune-4thJuly, 2012. 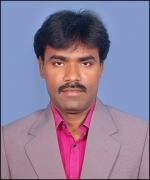 Attended Writing effective Conference papers organized by IIT Bombay at NIT-Warangal, during 18th-19th February, 2012. Attended Project management organized by TCS-Hyderabad at NIT-Warangal, during 2010. Attended Service oriented Architecture and Cloud Computing organized by TCS-Hyderabad at NIT-Warangal, during 10th October, 2010. Attended Linux System Programming, Embedded Linux and Driver Development organized by C-DAC Hyderabad and JNTU Hyderabad at C-DAC Hyderabad, during 18th-29th May, 2009. Attended Data Mining: Next generation Challenges organized by NIT-Warangal, during 23rdJune- 5thJuly, 2008. Attended The 13th International Conference on DASFAA 2008, at New Delhi, during 19th-21st March, 2008. Attended Intellectual Property Rights organized by NIT-Warangal, during 15th-16th February, 2008. Attended Data Warehousing and Data Mining organized by Accenture Hyderabad, during 17th-18th October, 2007. Attended Improving Teaching Skills organized by GPREC-Kurnool, during 17th-18th December, 2004. Attended Wireless Technologies organized by GPREC-Kurnool, during 15th-16th November, 2004. Attended Online Examination System organized by CGG Govt. of AP and JNTU Hyderabad at Shri Vishnu Engineering College for Women Bhimavaram, during 6th-12th January, 2004. Serving as a BOS Committee member for the Department of Electronics &Computer Science Engineering, KL University, Vijayawada, AP, India. Serving as a BOS Committee member for the Department of Information Technology, B V Raju Institute of Technology (UGC Autonomous), Hyderabad, TS, India. Served as Technical Session Chair for the UK Academy for Information Systems Annual International Conference (UKAIS2018), Oxford, UK, during 20-21 March 2018. Served as Technical Session Chair for the 5Th International Conference on Innovations in Computer Science &Engineering (ICICSE-2017), at Gurunanak Engineering College, Hyderabad, India. Served as Website Chair for ï¿½? ?National Conference on Recent Advances in Modelling Expert Systems (RAMES)ï¿½?? during 26th-28th June 2018 at National Institute of Technology-Warangal, Telangana, India. Served as Program Committee Member for 14TH IEEE INDIA COUNCIL INTERNATIONAL CONFERENCE 2017 (INDICON-2017), during 15th-17th December 2017, at IIT Roorkee, India. Served as Program Committee Member for International Conferences on Information and Communication Technology (CICT) , during 3rd-5th November 2017, ABV IIIT Gwalior, India. Served as Program Committee Member for 2nd International Conferences on Advanced Computing and Intelligent Engineering (ICACIE 2017) , during 23th-25th November 2017, CUR, Rajasthan, India. Served as Program Committee Member for 2017 IEEE Second International Conferences on Computer Graphics Vision and Information Security (CGVIS 2017) , during 20th-21st February 2017, Kolkata, India. Served as Website Development Team Member for 4th International Conference on Big Data Analytics-2015 (BDA 2015) during 15th-18th December 2015 at Hyderabad, Telangana, India. Organized by National Institute of Technology-Warangal, Telangana, India. Served as Website Development & URL Committee Member for International Conference on Computational Heat and Mass Transfer (ICCHMT-2015) during 30th November to 2nd December 2015 at National Institute of Technology-Warangal, Telangana, India. Served as Reviewer for International conference on Power Communication Control Computing Technology (PCCCT)-2015, Kurnool, India. Served as Program Committee Member for International Conferences on Computing and Communication Technologies (ICCCT)-2014 Hyderabad, India. Served as Reviewer for International Conference on Computer, Communication, Control and Information Technology (C3IT)-2014, Hoogly, India. Faculty In-Charge for the Web and Software Development Committee (WSDC) from 2018- till date. Warden for the A-block 1.8K-8&9 Floors from 2016-till date. Faculty In-Charge for the Institute Website from 2013-2016. Nodal Officer for the Institute Website from 2013-2016. CSE Department Website In-Charge from 2007-2013. CSE Department MIS In-Charge from 2007-2013. Faculty In-Charge for Data Engineering Laboratory from 2007-2013. Faculty In-Charge for Computing Laboratory from 2013- till date. Time Table In-charge for 2 Years from 2007-2009. Free and Open Source Software (FOSS) Lab established in the year 2012. Core team member in the development of an Android APP Welcome to Medaram for Sammakka-Sarakka Jatara at Medaram. Core team member in the development of an Android APP Bhadrachalam Sitarama Kalyanam To help to the Bhadrachalam town police in the route map and parking. Design and Developed a Website for NIT Andhra Pradesh. Design and Developed a website for an International Conference on Big data Analytics (BDA-2015), Organized by NIT Warangal. Design and Developed a website for an International Conference on Technology for Education(T4E-2015), Organized by NIT Warangal. Design and Developed a website for an International Conference ICCHMT-2015, Organized by NIT Warangal. Organized a Five Day FDP on ï¿½? ?R Programming concepts and Applications for Teachers in Higher Educationï¿½? ?, during 13th- 17th September 2017 under Teaching and Learning Centre, National Institute of Technology-Warangal, at National Institute of Technology - Warangal, TS, India. Organized A Two week FDP on ï¿½? ?Introduction to Web Developmentï¿½? ?, during 13th- 22nd June 2017 through NKN in association with E&ICT Academies at IIT Roorky, IIT Gowhathi, IIIT Jabalpur, NIT Jaipur, NIT Patna and NIT Warangal, at National Institute of Technology - Warangal, TS, India. Conducted a 3 Months Special Training Programme on ï¿½? ?Programming and Data Structuresï¿½?? at NIT-Warangal, For M.Tech Students, Dept. of EEE, NIT-Warangal, During January-March 2008.